Design all stormwater systems including retention ponds, detention areas, channels, etc. 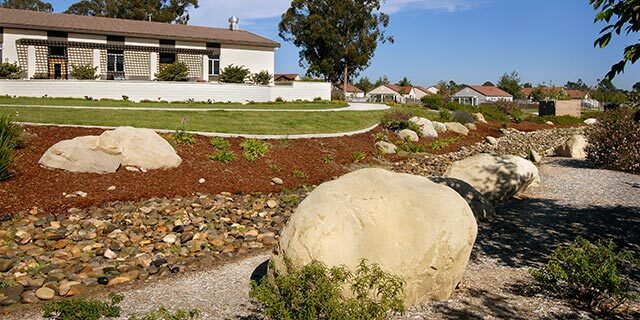 as on-site amenities that are consistent with natural systems and drainage patterns, that help sustain the base landscape with beneficial functionality and that provide aesthetic appeal; coordinate with the base Stormwater Management Plan. 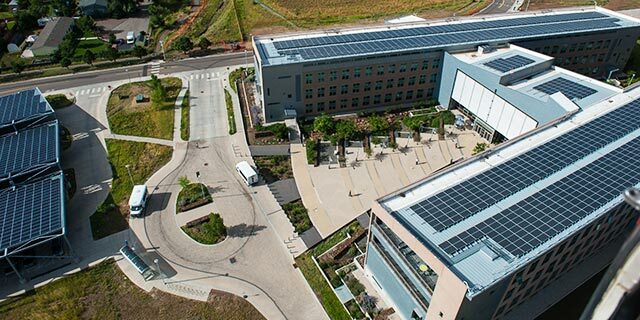 Incorporate bioswales into the design of all roadway, parking and facility roof systems to enhance water quality and support the overall stormwater system. Permeable paving may be used in areas that are not subjected to severe freeze-thaw cycles. Provide rainwater harvesting and storage that is attached to the building's roof drain systems to support grey water irrigation; consider freeze protection for winter months. When underground drainage systems are required establish a maintenance program to include removal of sediments and debris; inspect joints seasonally for alignment to prevent leakage and the development of voids and surface failures. 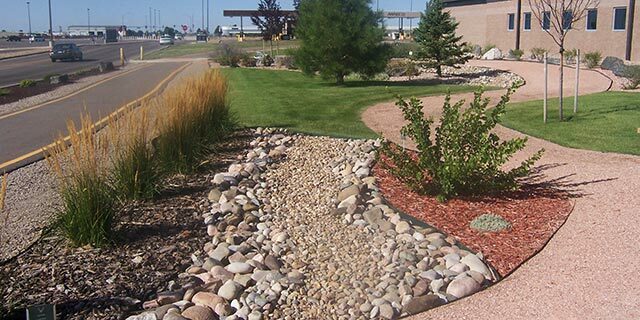 Cost-effectively integrate stormwater systems with ATFP measures.